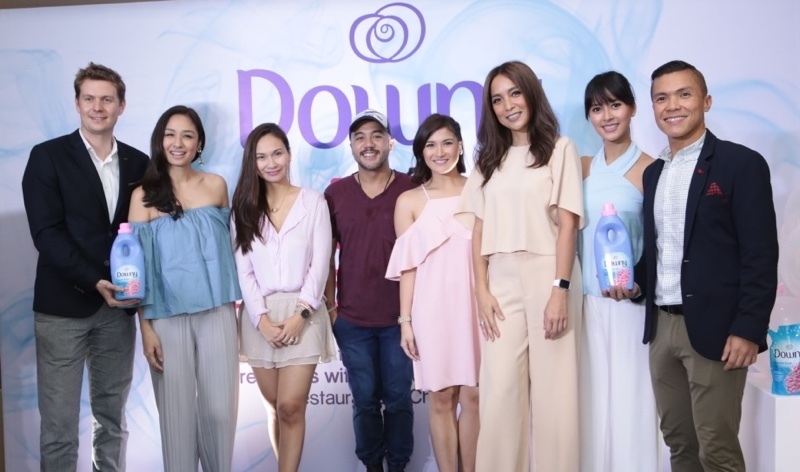 Downy, recently hosted a ‘malodor challenge’ by holding a cooking demonstration event with Chef JP Anglo as it introduces its best formulation in fabric softener which helps fight against 10 tough smells on clothes for longer lasting freshness. 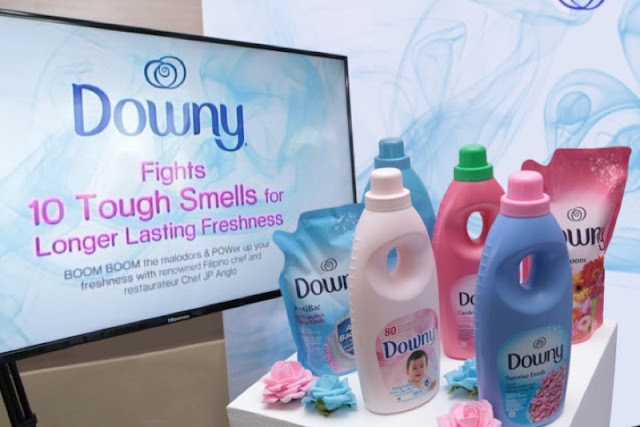 Dubbed #DownyBoomBoomPow, the campaign invites people to identify the tough malodors we face in our daily routines and prove that the newest Downy innovation is the solution to these dilemmas. Before the event, we were given an apron to wear during the cooking demonstration, which unbeknownst to us were pre-washed with the latest Downy fabric softener. Chef JP exclusively prepared several everyday Pinoy dishes which emit strong odors, such as Grilled Vietnamese Pork Belly and Sizzling Sinigang Fried Chicken with Batwan Gravy, plus the special dish of Grilled Bangus with Talangka & Burong rapped in Banana Leaves intended to really put Downy to the malodor challenge. After enjoying these delicious dishes, we were asked to inspect our aprons for any tough smells which might have stuck to it such as food smell, sweat and smoke. To our surprise, the aprons were as fresh and clean as ever - effectively demonstrating the effective malodor removal and freshening benefit of Downy's best ever formula! Apart from creating special menus for this event, Chef JP shared his experiences on unpleasant odors on clothes. Chef JP said, I work all day in the kitchen and sometimes the exhaust isn’t as effective as I’d like it to be. So naturally I’m exposed to all sorts of smells and more often than not, these smells stick to my clothes all day long. That is why I’ve been on the lookout for something that can help me fight these persistent odors. We were also entertained by Bianca Gonzalez, who shared her experiences on worrisome odor on clothes and clothing care tips and tricks for long-lasting freshness. As a mom with an active and busy lifestyle, I encounter a lot of various smells, some of them not so pleasant. The worst part is when they stick to my and my family’s clothes! I try to remove these stubborn odors by using natural remedies like baking powder, but sometimes it needs something more powerful – which is why I always use Downy, the popular TV host said. In a recent survey on malodors, the top 10 tough malodors on clothes are vehicle exhaust, cigarette smoke, smoke from burning garbage, sweat and body odor, wet socks, kulob, fried fish, barbecue, garlic, and onions. Upping its ante in the market, the newest technology from Downy softener contains the breakthrough Malodor Removal Technology which does not just “mask” malodor with aromatic ingredients, but effectively eliminates tough malodors which stick to clothes completely.. This prevents the odor-causing material from being released again. The Perfume Micro Capsules, which are spread and embedded on fabric while washing, will help bring back the refreshing fragrance on clothes. Together, the Malodor Removal Technology and the Perfume Micro Capsules harmoniously work to help neutralize all tough smells and create longer lasting fragrant smells on clothes every time the fabrics are rubbed. 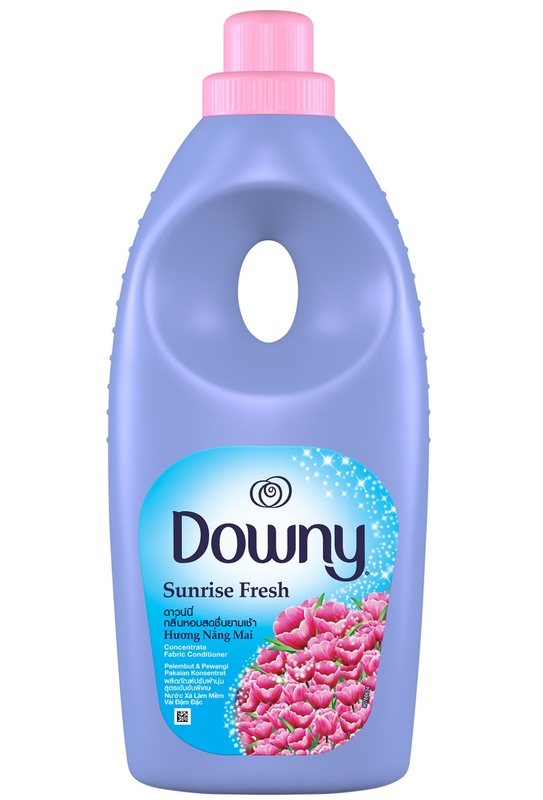 Sunrise Fresh (for quick drying, even indoors), Antibac (to keep germs away for the whole family), Garden Bloom (for wonderful floral freshness), Single Rinse (for quick rinsing with less water), and Baby Gentle (for the safety of sensitive baby skin). Boom boom everyday malodors and power up with freshness with the best ever formula from Downy- now available in supermarkets nationwide. For more information please like @DownyPhilippines on Facebook or follow the conversation online with the #DownyBoomBoomPow hashtag.